Based on feedback that I got on Twitter, TestDBUpgrade is no longer required in ConfigMgr current branch. Microsoft has changed the Database Upgrade Mechanism in current branch to be more fault tolerant. However, performing TestDBUpgrade certainly won’t do you any harm, so it’s up to you if you continue doing it or not. When performing a TestDBUpgrade back in the days with ConfigMgr 2012 / 2012 R2, you always had an Installation Media (ISO) which you could use for TestDBUpgrade. Starting with the new Site Servicing Model in Configuration Manager current branch, you no longer have a media if the release, to which you want to update, isn’t available as a Baseline Build. As of now, Version 1511 and 1606 were made available as a Baseline Build. Locating the Media for Non-Baseline Builds is actually pretty straightforward. 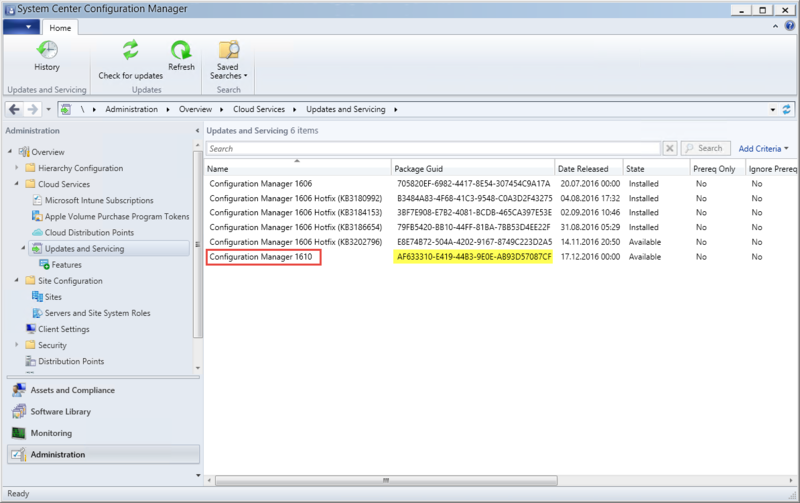 Before you even start the Installation or the Prerequisite-Check of a new Release in the “Updates and Servicing” Node, ConfigMgr automatically downloads the Media in the background to the Site-Server. If the Update Packages are getting updated by Microsoft, e.g. to include the latest Hotfixes, the updated Media will be re-downloaded again. Open the “Updates and Servicing” Node in the Console and enable the “Package Guid” Column. Note down the “Package Guid” of the Release that you want to install. In this example “Configuration Manager 1610” with the Package Guid “AF633310-E419-44B3-9E0E-AB93D57087CF”. 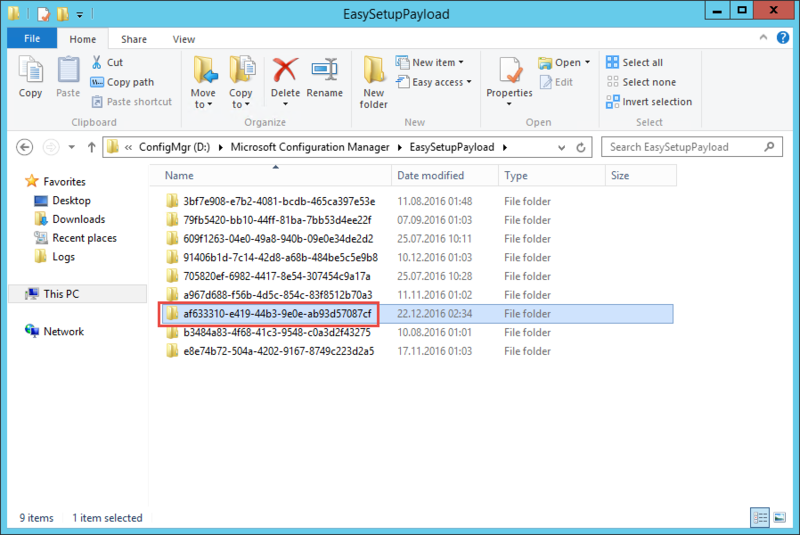 Open the Configuration Manager Installation Directory and head to the “EasySetupPayload” folder. Here you will find the Installation Media of every Release that was getting downloaded. Look for the folder that matches the noted “Package Guid” from the previous step. Inside this folder, you will find the Full Installation Media, that you can use to perform TestDBUpgrade. 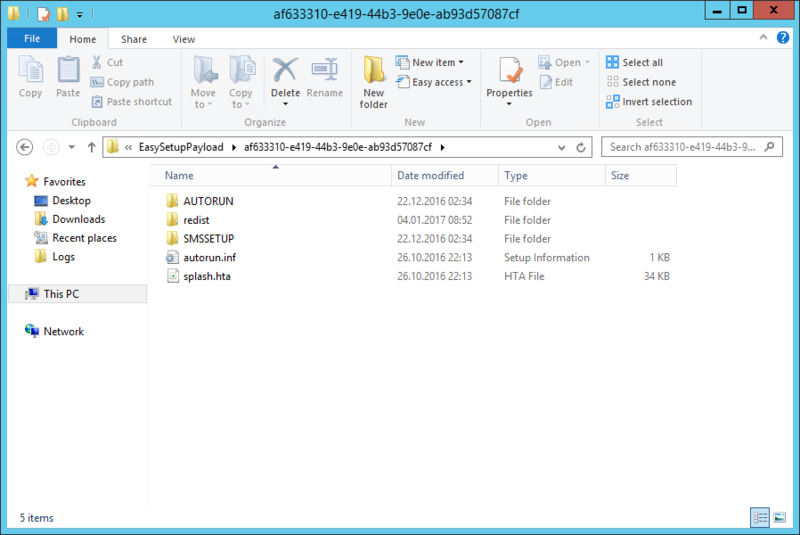 IMPORTANT: It is not supported to use this Installation Media from the EasySetupPayload folder to perform a new installation of ConfigMgr!